To meet Theresa May, others. 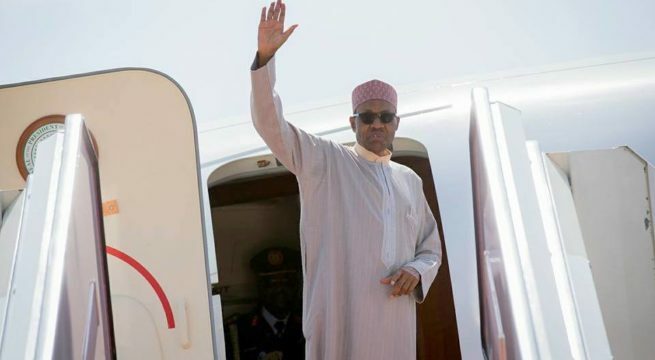 President Muhammadu Buhari will, on Monday, travel to United Kingdom. Buhari’s trip is however coming more than one week ahead of the CHOGM meetings billed for April 18-20. “These investment ventures will lay the foundation for the next 20 years’ production and domestic gas supply, bringing with it all the attendant benefits both to the economy and the wider society. “President Buhari is due to renew discussions with the Archbishop of Canterbury, The Most Rev. and Rt. Hon. Justin Welby, a good friend of the President on inter-religious harmony in Nigeria and worldwide.